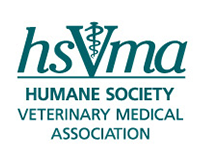 Dr. Arras is thrilled to play an active role with the HSVMA! Initially, she focused her career on the aviation industry. She graduated from Purdue University in 1992 with a Bachelor of Science in Aviation Technology and a commercial pilot license. In 1996, Dr. Arras graduated from the University of Maryland with a Master in Business Administration degree. She worked several years in management for American Airlines in Texas and New York City. Then, a day came when she decided to change her career path and work with animals. In 2006, Dr. Arras graduated from the University of Wisconsin with a Doctor of Veterinary Medicine degree. While in veterinary school, she worked at the local animal shelter and volunteered with Dane County Friends of Ferals cat rescue. Upon graduation, she completed an internship at Friendship Hospital for Animals in Washington, D.C. Currently, Dr. Arras works as a shelter veterinarian in Saint Paul, Minn. In her free time, she loves to ski and travel. 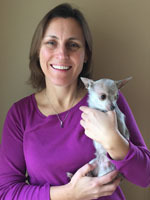 Dr. Arras is always happy to go home to her family and two small doggies, both rescues from humane societies.